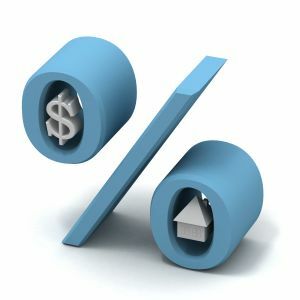 Quarterly reports show that interest rates on home loans are at their lowest in a 12 month period. This alone isn’t enough to make the housing market a positive one for home buyers, however. In spite of the low rates, home buyers have seen higher costs overall. This is the first time in six years that less than 62% of available homes were affordable to people with less than the median income using a 30-year mortgage, small down payment and having solid credit ratings. At the same time, economists expect to see home prices go up in the new year. Low mortgage rates are attracting the attention of people looking to buy a home. The prices they are encountering in their searches are leaving people wondering if now really is a good time to buy a home. It isn’t an easy answer. It depends largely on the rates that occur in 2015 as well as the availability of low or no down payment mortgage packages in the housing market. At the moment, while affordability is getting worse, the types of loans available and the guidelines for acceptance are in a good place. The 2014 quarterly Housing Opportunity Index, a report generated by the National Association of Home Builders shows that home prices have climbed, and homes are less affordable than they were 3 months ago. The HOI report tracks the ability of the typical American to purchase an average home. Using data from 225 metropolitan cities, they show whether people can afford to buy a home in the current marketplace. Home affordability is determined by getting the average home price for any given area and then finding the average fixed rate mortgage based on a 30-year conventional loan style. Using that information the monthly payment is determined and then compared to the average median household income for the area. Affordable housing should be within 28 percent or less of the monthly income figure. This front-end ratio for debt to income is determined by dividing the mortgage payment by the monthly income figure. The Housing Opportunity Index assumes conventional mortgage packages such as those from Fannie Mae or Freddie Mac, and a 10% down payment. In the last quarter, only 61.8% of all of the available homes on the market were considered to be affordable for the average family in the same areas. Median income figures were about $63,900 on a national level. That’s a .8 percent point fall from the previous quarter, and the lowest figure since 2008. The third quarter of 2008 was also the time when the economy in the U.S. began its fall into a recession. In September of 2008 Fannie Mae and Freddie Mac were taken under government control, and Bank of America bought out struggling Merrill Lynch after the staggering fall of Lehman Brothers. After that, home values fell at a consistent rate, but the market is recovering now, and home costs are rising once again. Home prices are up over the last two years as much as 14 percent. The average cost of a home is $221,000, and interest rates are up 55 basis points while incomes have remained unchanged. There is no sign that housing prices will fall, and most expect they will continue to go up. Studies project income levels will remain the same, leaving those wanting to buy a new home in a pinch. Getting a home now, however, can be a great move for those that are at the tipping point of affordability. Rising prices mean future gains in equity value of a new home. The good news for those looking to grab onto a home at today’s prices is that mortgages are more affordable now than they have been in the recent past. 30-year mortgage interest is down half a percentage point, and 15-year rates are about the same. Lenders are consistently quoting interest in the 3s along with equally low APR. This means that lower mortgage rates provide stronger affordability even though home prices are higher.